It’s finally spring in Montreal, warm weather is upon us, and the critters are emerging from their winter hibernation — including this lil guy, who decided to pay the music office a visit yesterday and hung out on the windowsill keeping me company while I worked late into the evening. What should we name our new raccoon buddy? We’ve done some spring cleaning, and there’s a ton of stuff that we just don’t have space for around the office anymore. You know what that means: it’s time for another one of those infamous CKUT garage sales. Come on by do some digging — there will definitely be some gems up for grabs. We’ll be selling CDs, DVDs, LPs, ZINES, CKUT SWAG and much more… Everything is priced to sell (read: cheap!). It’s all happening on Thursday April 28th 1-5pm outside of CKUT, 3647 University St. in downtown Montreal. Even if you wanna stop by to get a tour of the station and say hi to our new raccoon mascot, we’d love to see you there! 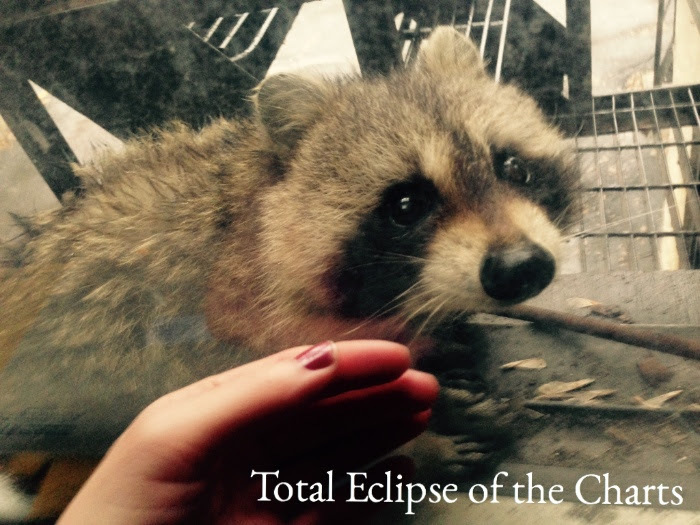 This entry was posted in Charts and tagged cute, garage sale, raccoons, specialty charts, top 30, total eclipse of the charts on April 19, 2016 by CKUT Music Coordinator.